Nancy Manocherian: Founding Artistic director of the cell. 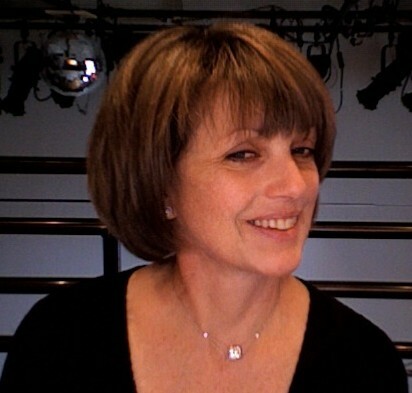 Nancy is a lyricist, playwright and producer. Writing credit include: Sin! ; Rio, a Brazilian musical novella (Theatre for the New City); and Dinner and Delusion, an opera co-written with composer Michael Sahl (The Center for Contemporary Opera/New York city Opera’s VOX Festival). Her passion is for the arts and her dream is the cell, a 21st century salon. How did you get involved with theatre? When did you start writing? I was writing poems as a means of dealing with my demons and suddenly realized they were songs with a theme, so I decided to write a musical. Eventually I freed myself from rhymes and rhythm to explore story and dialogue. Tell me about the cell. The cell evolved from my involvement with theater coupled with a long-standing fantasy I had about running a salon. I pretty much always had the Midnight in Parisfantasy depicted by Woody Allen, but I believe I had it first! Tell me about Bad Evidence and Midsummer. How do you feel the season is going? What have you loved most about the process? Kira and I have known (and loved) Terry Quinn for a while. When he brought us Bad Evidence, it felt like the right fit. We did a reading, incubation, and now have a showcase. We hope it keeps growing. Midsummer was proposed as an idea from The Hive when the cell announced “Shakespeare in the Rear” as a project for our new backyard space. We have had many discussions about how to grow our projects in a flooded theater market. We felt running two shows in tandem may help us grow an audience. It’s complicated. I think what I've loved most about the process is witnessing the myriad ingredients that are part of collaboration. It is amazing and gratifying to see so much activity, so many personalities, so much talent under one roof working towards a common goal. What writing doesn’t inspire me might be easier to answer. I hate predictability. I love variety. Who or what has been the biggest influence on your work as an artist? My earliest idols were Joni Mitchell and Paul Simon. Then Philip Roth, Dostoyevsky, James Joyce, and Woody Allen. In that order. I have been writing some poetry, my memoir, a play, a newer play, and making an urn modeled on some ancient sarcophagi I saw in Israel.